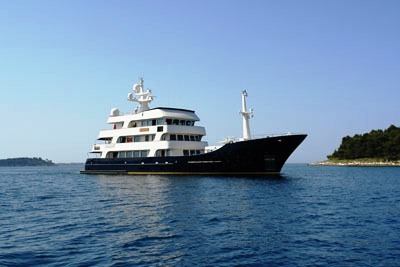 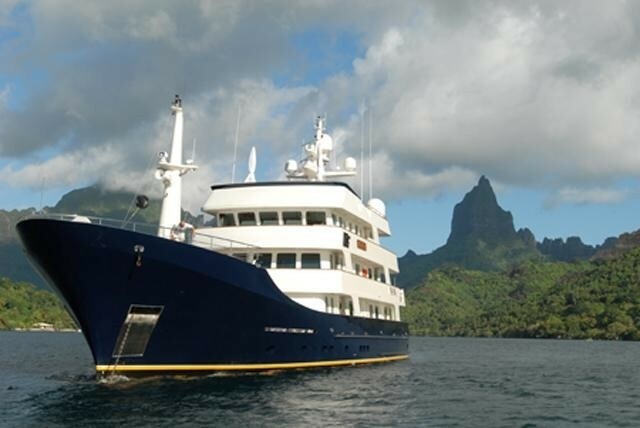 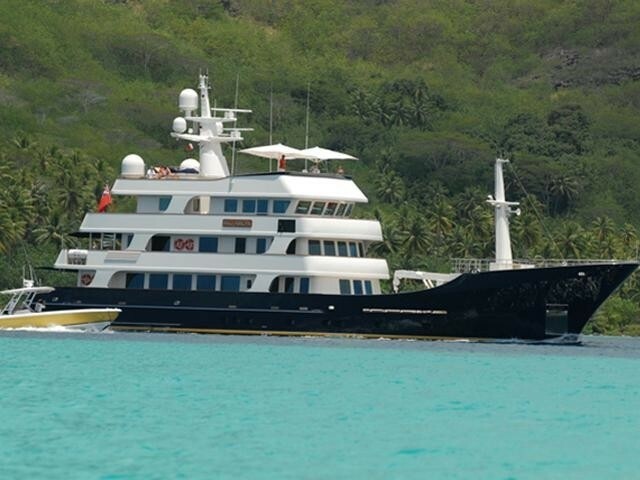 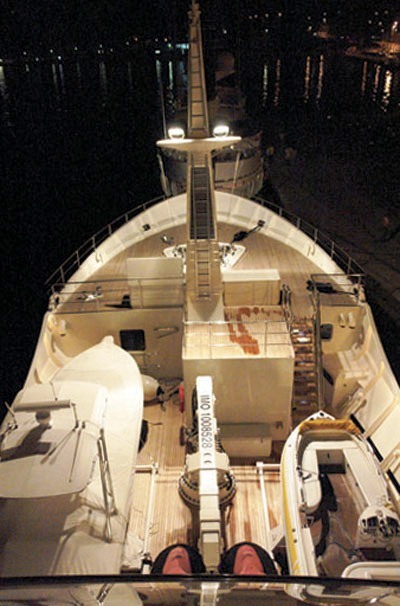 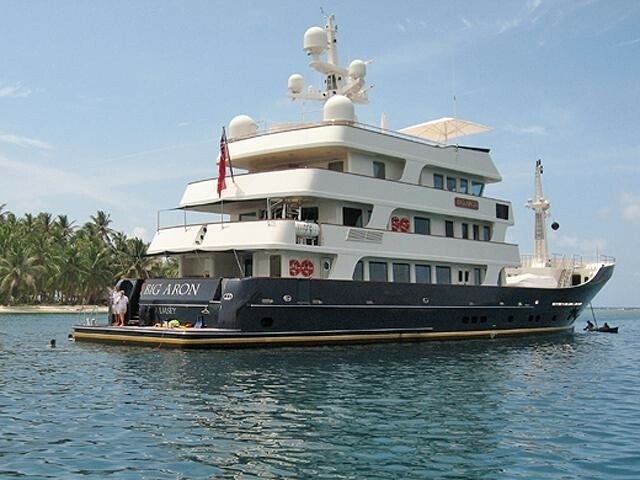 Motor Yacht BIG ARON is a magnificent Royal Denship Expedition Yacht as was launched in 2004. 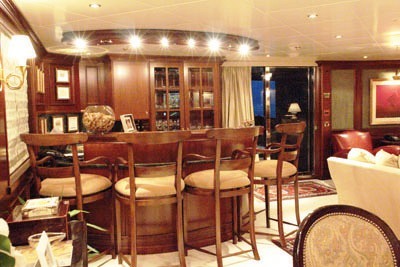 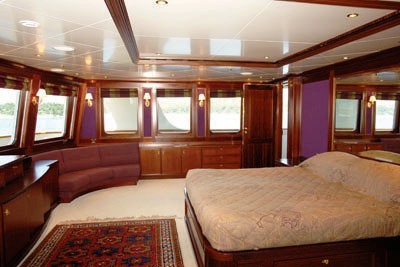 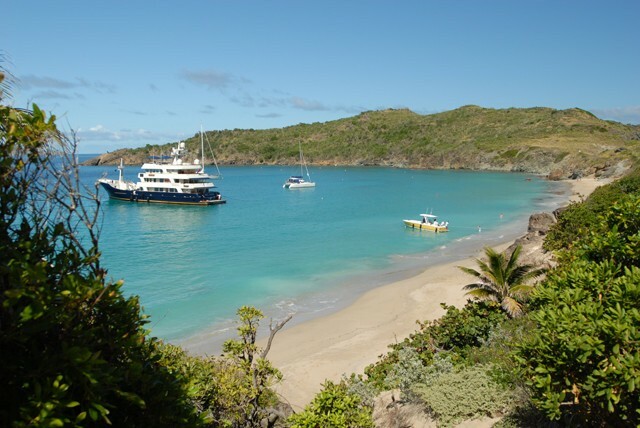 She can accommodate up to 10 guests in 5 well appointed cabins. 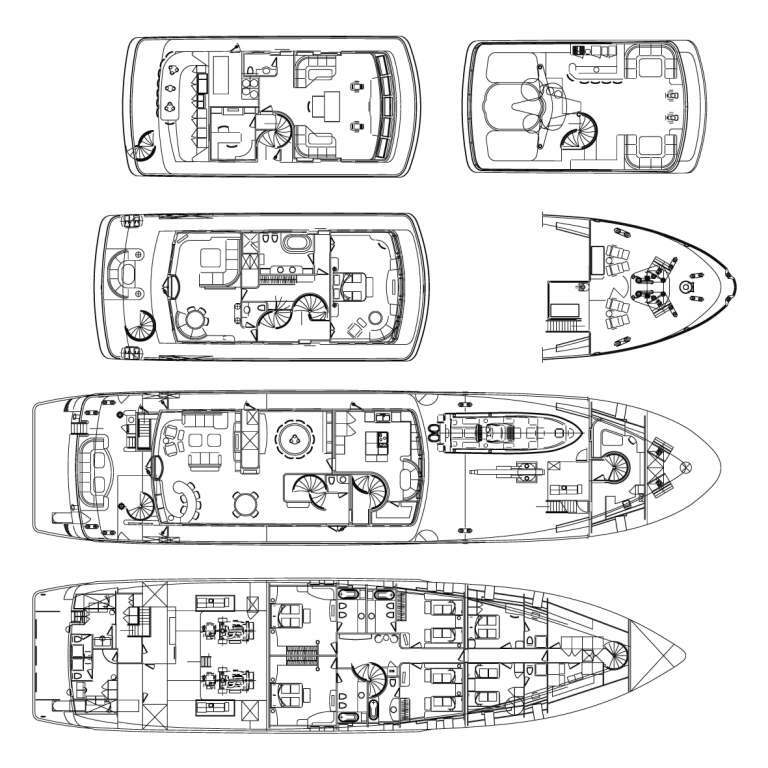 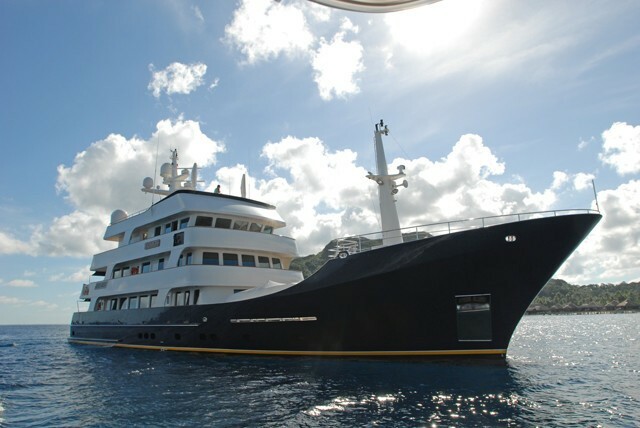 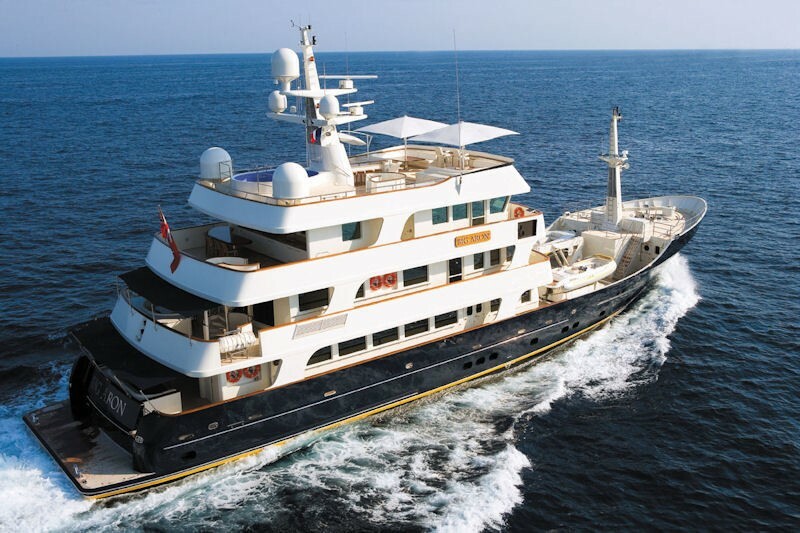 BIG ARON is deceptive in her size as with five decks, she allows for a truly incredible amount of exterior deck space and volumes of interior. 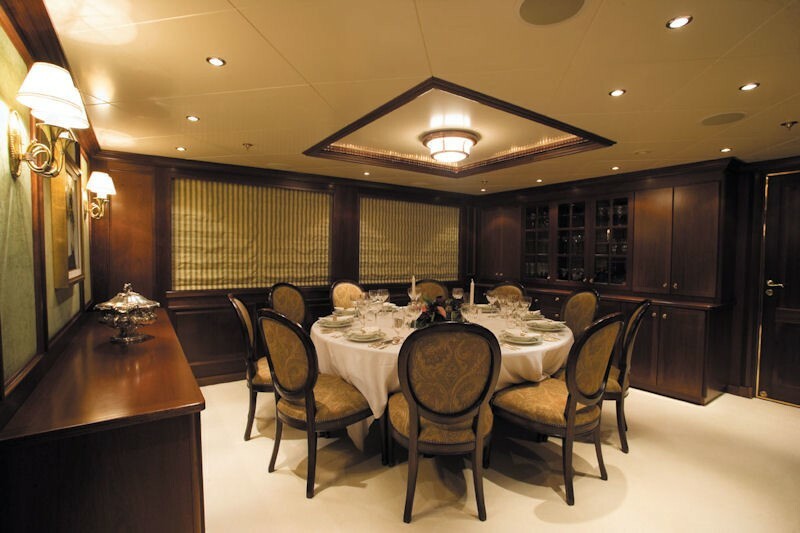 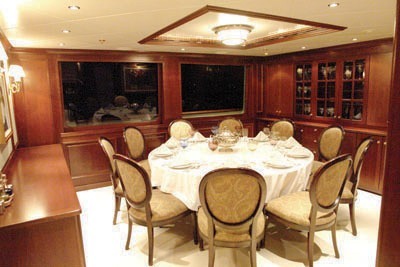 The main salon and dining room are on the main deck with the galley forward. 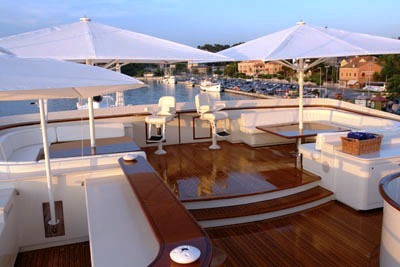 The sky lounge is situated on the bridge deck. 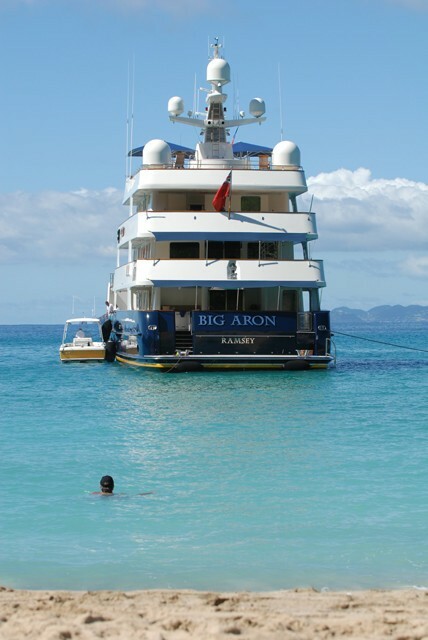 Some of BIG ARON's most exciting features include a Brazilian barbeque and a massive 12 cubic meter "plunge pool". 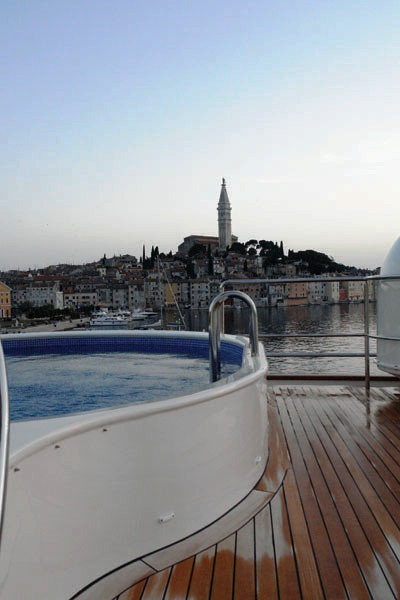 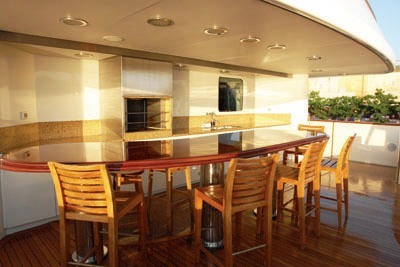 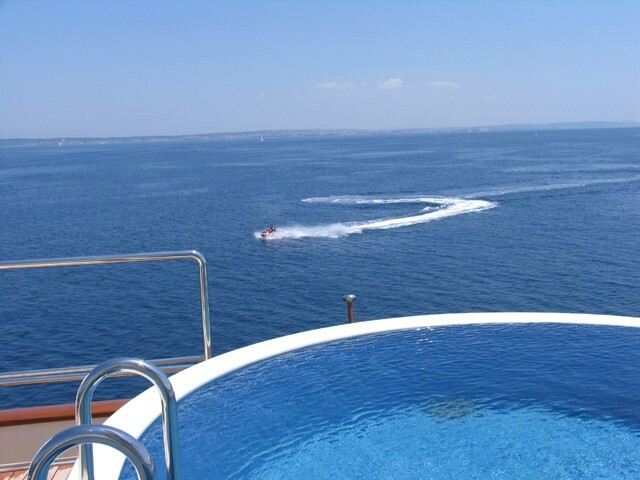 The sundeck also offers a bar and sunning areas, plus unparalleled 360 views of the surroundings. 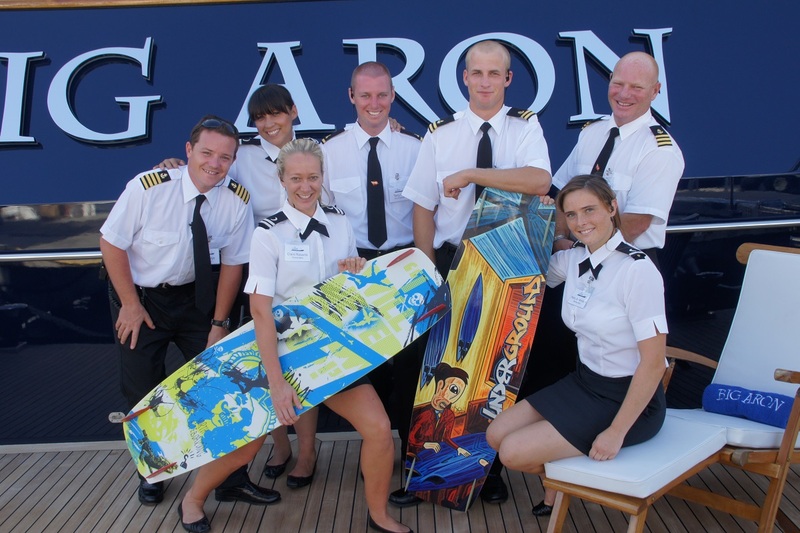 All is capably supported by a professional crew of ten. 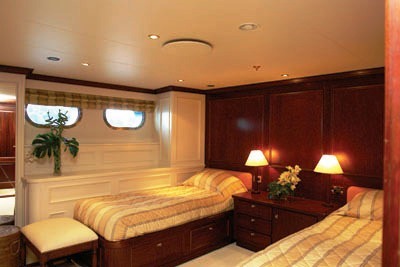 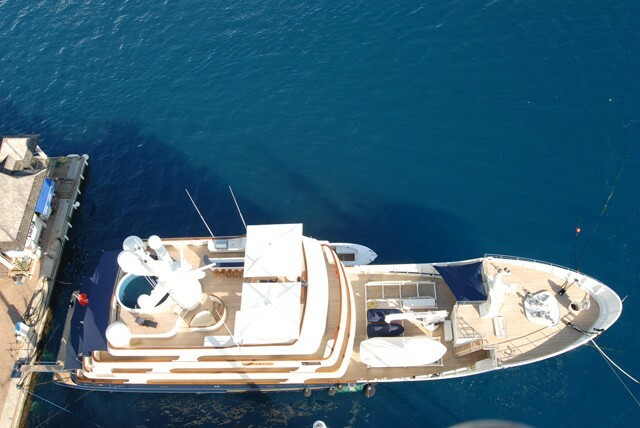 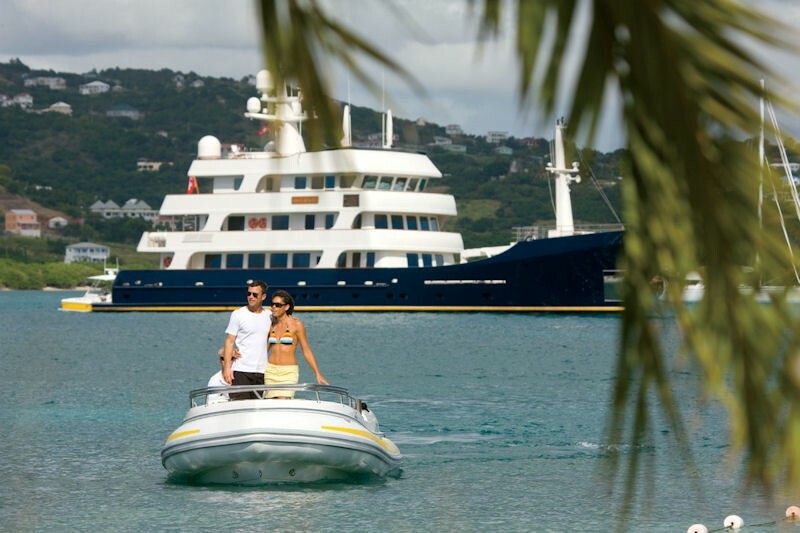 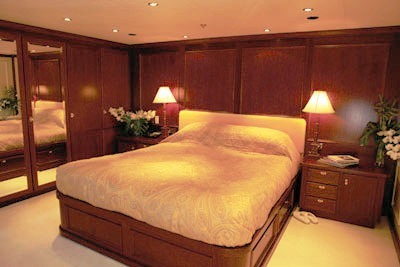 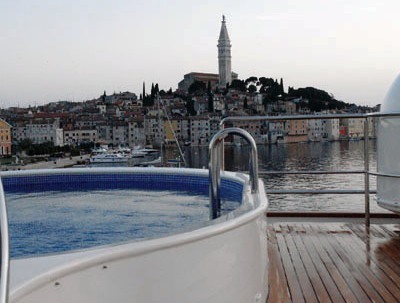 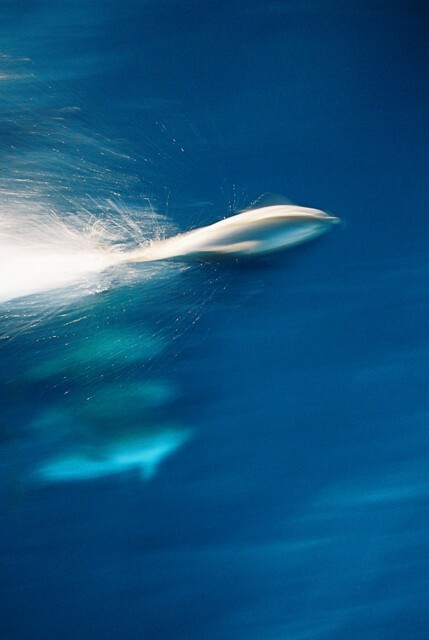 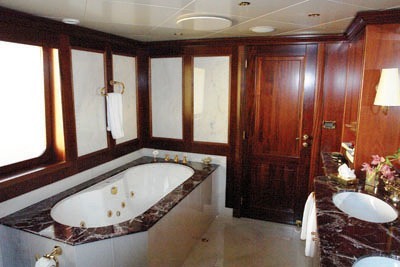 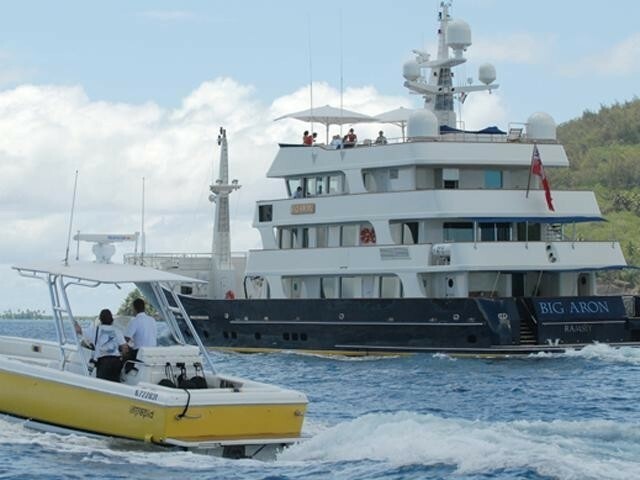 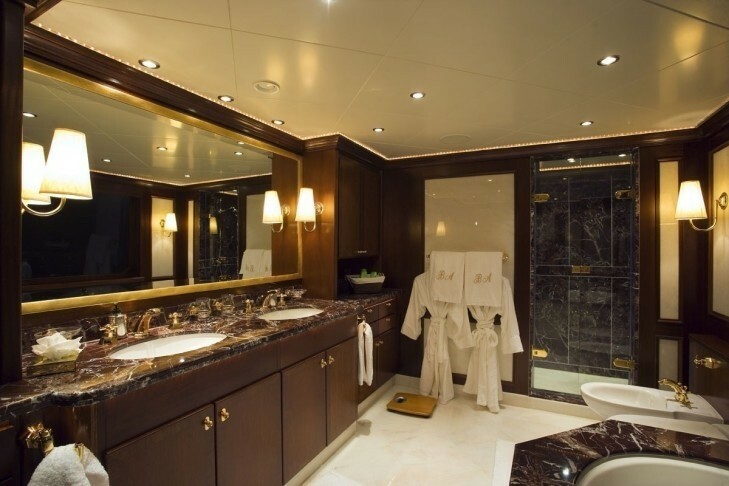 BIG ARON will allow 10 guests to enjoy five beautifully appointed, large staterooms each with ensuite bathrooms. 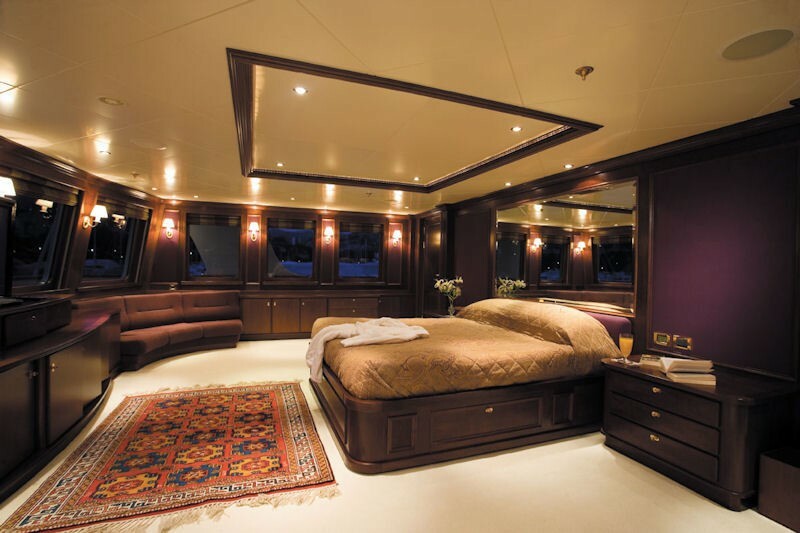 The master suite is situated on the upper deck and has a large master ensuite, walk-in wardrobe and adjoining office and lounge. 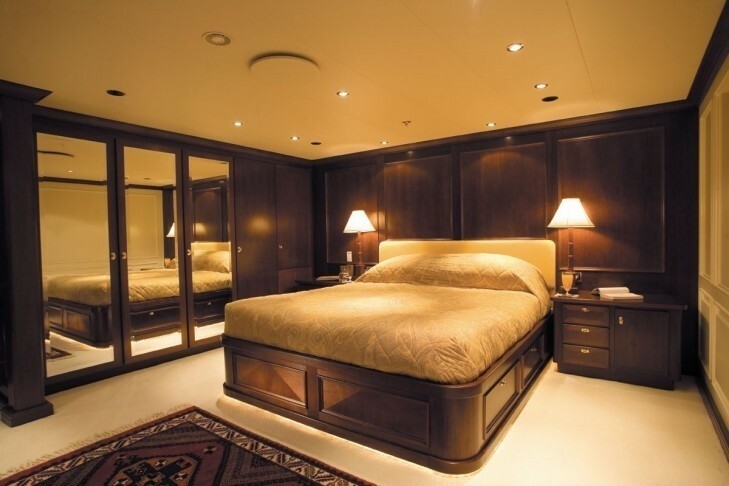 The 4 guest staterooms are below decks and these consist of two further king sized cabins & two twins, all with ensuite bathrooms. 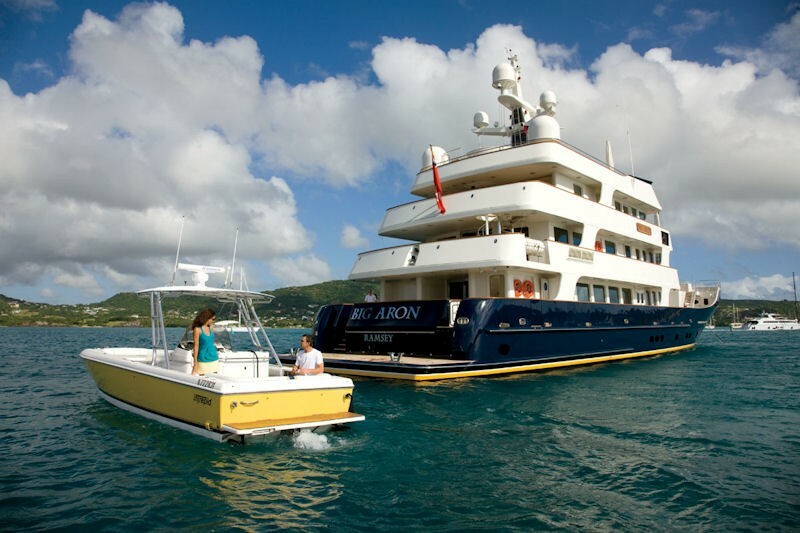 BIG ARON is well equipped with a full range of entertainment and communication facilities. 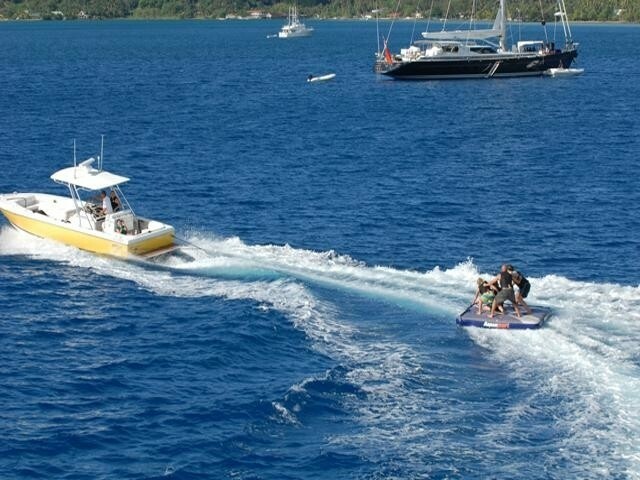 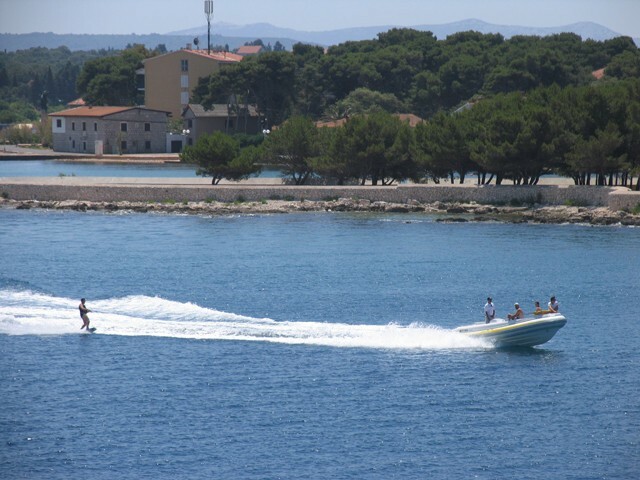 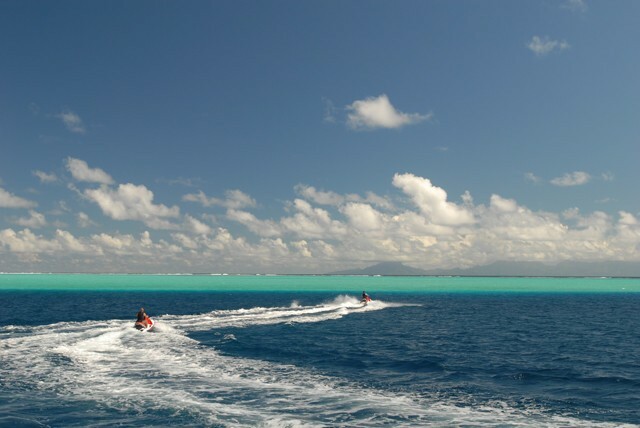 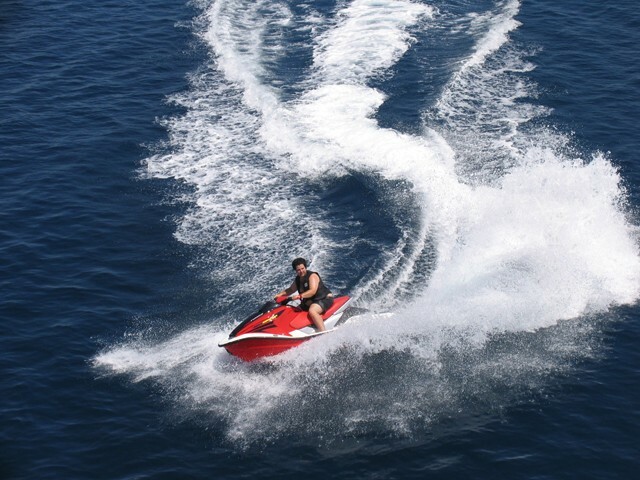 Water toys onboard include a 32ft Intrepid with 370 hp inboard engine, a 22ft Novourania with 240 hp inboard engine, two 2 person Waverunners, Scuba diving equipment, Snorkelling equipment, Water-skis, Wakeboard and towable tubes. 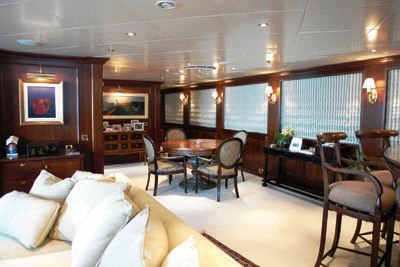 There is also a Treadmill onboard for those who prefer ‘dry’ sports. 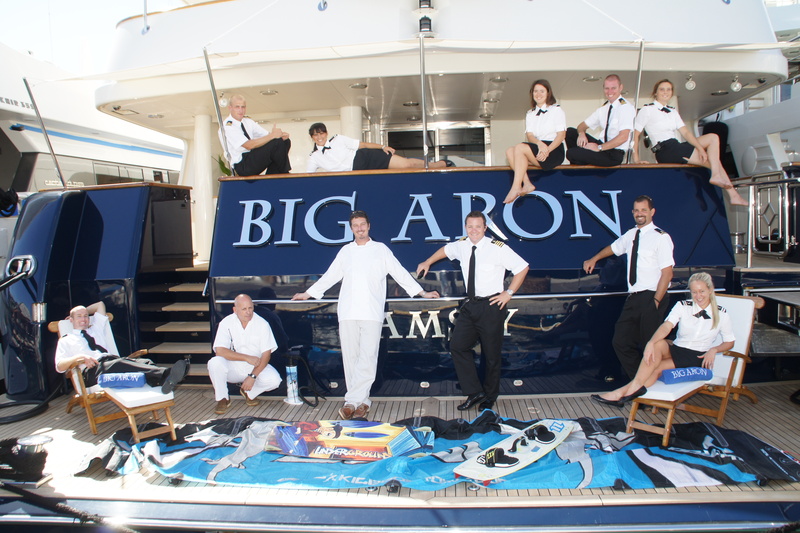 Audio Visual Equipment onboard BIG ARON includes a Lantic Yacht entertainment system with central Movie (600) and Music storage, cabin control and RF remote. 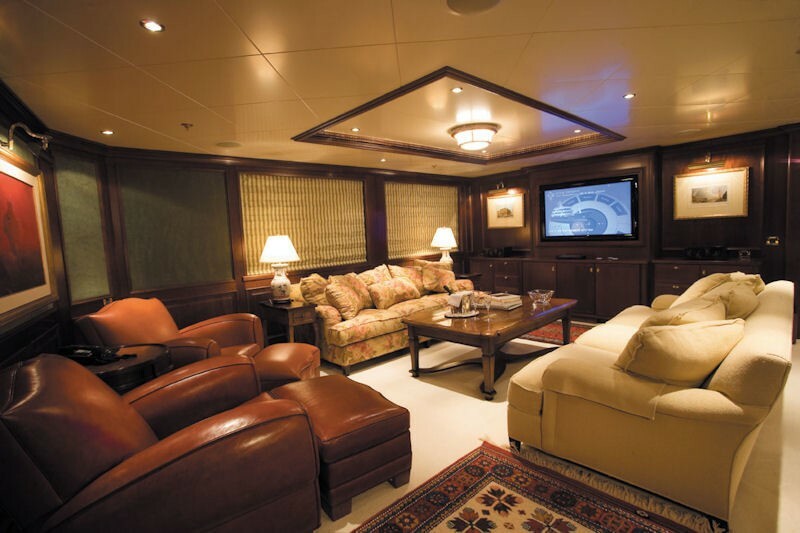 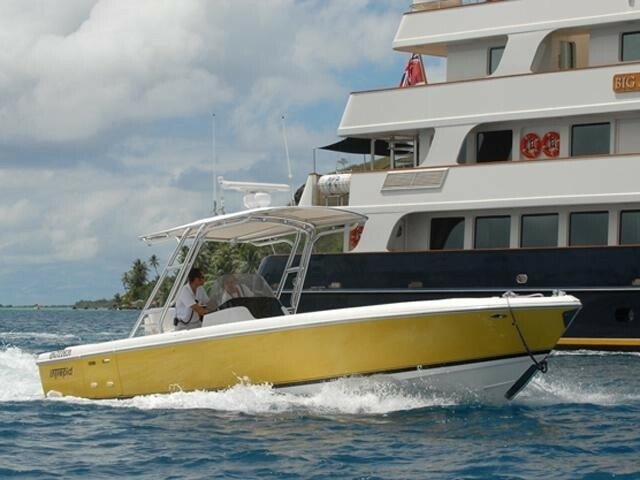 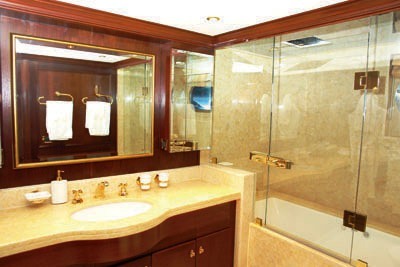 Throughout the yacht, there are three 50inch plasma and five 30 inch LCD screens. 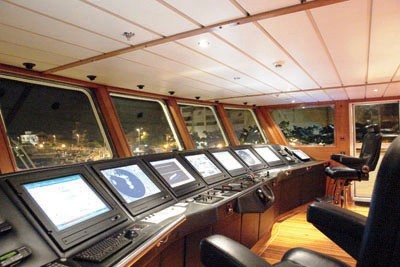 Communication equipment includes VSat broadband internet, 2 VOIP, 3 Satellite telephone and 2 Cell phones.